Today, the 6th of June 2018, Jurassic World: Fallen Kingdom comes out here in the UK. Whilst too young to have enjoyed the first instalment of this franchise upon its initial release, I do have fond memories of watching the movie and its sequels around the turn of the millennia. One particularly vivid memory – and it is strange the things we remember – is of my anger at a most irritating placement of an ad break during a television broadcast of the first film, just as a Tyrannosaurus rex tore the roof off the toilet in which cowardly lawyer Donald Gennaro (Martin Ferrero) hid, ruining one of the film’s most entertaining and iconic scenes with three minutes of unrelated adverts. Then came a hiatus of over a decade in which I didn’t watch any of them. In fact, I don’t remember caring much when I heard the first Jurassic World was coming out, as I’ve generally not been impressed with most franchise revivals (Star Wars prequel trilogy anyone?). It may then surprise some of you to learn that I have tickets to see Fallen Kingdom this afternoon, the very first day it hits the silver screen. This is largely because of my girlfriend who, unlike me, never forgot about that world of prehistoric beasts. Since being together, we have seen all four films at least once every six months or so. Having stepped away from this world during my adolescence means that unlike Gloria, who grew with them, I have seen them from two vastly different perspectives: through the eyes of an excited child, to whom trips to London’s Natural History Museum to see the dinosaur skeletons were always the highlight of any week and voraciously consumed anything on the subject with unrestrained excitement (I never once missed an episode of the BBC’s Walking With Dinosaurs, and my first iMAX experience was a trip to that by Glasgow’s Science Centre aged 12 to see Dinosaurs Alive! ); and as an adult for whom theme alone is not enough to really enjoy a film. G: Innovative. 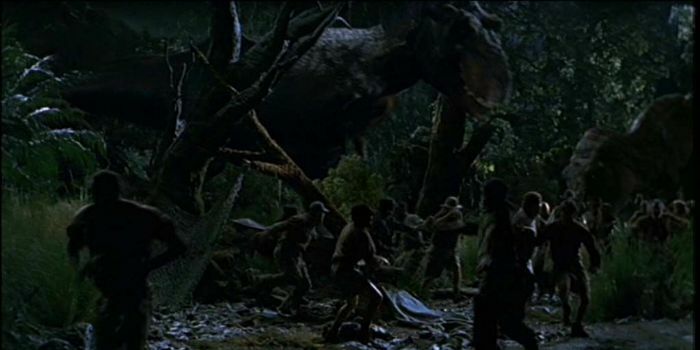 The first commercial movie to deal explicitly with humans and dinosaurs, and they got it just right. The special effects were not only amazing for the era, but have aged spectacularly well and are as watchable now as they were then. Overall, the ensemble of characters are endearing and have enough depth. 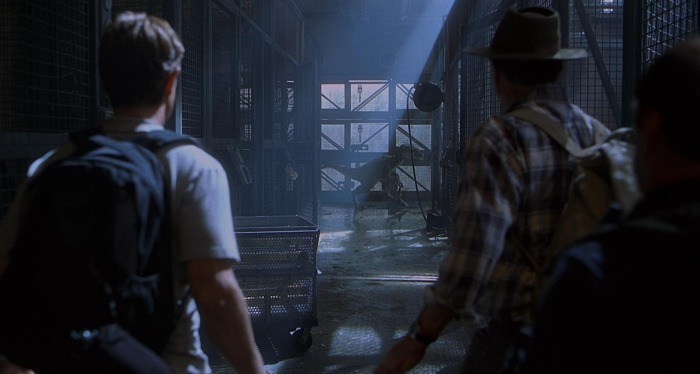 The T-rex encounter while trapped in the car when the power goes out is one of the finest scenes in any movie I’ve ever seen, and Spielberg’s skilful manipulation of pacing in the scene in the kitchen makes it one of the most tense and exciting in the film. A: My biggest issue with this film is the casting, which lost the two strongest performances from the original (Alan Grant and Ellie Sattler, of course) whilst keeping less likeable characters such as Ian Malcom (Jeff Goldblum) – not a bad performance may I add, but simply a character I find to be intrinsically annoying, though thankfully less so than I find him to be in the first movie (in which he is fairly two-dimensional). Whilst the casting and storyline at times feel distinctly like the result of a cash cow spin off situation, the dinosaur chases are phenomenal and there are enough enjoyable scenes for this to be a worthwhile watch. G: This one definitely feels more like another film about dinosaurs than a genuine sequel to the first. The Lost World finds its feet after a fairly weak opening, getting into gear just in time for the return to the franchise’s dinosaur-packed islands. The characters are frustratingly poor: Malcom is arrogant and frustrating, Sarah (Julianne Moore) is imprudent and irresponsible, and Owen (Vince Vaughn) is quite simply unnecessary. It is a group of characters in dire need of a leader that inspires confidence, crying out for the safe hands of Alan Grant. A: A welcome return for Alan and, very briefly, Ellie too, with chemistry intact (though the introduction of her husband and their young child explicitly suggest the relationship to be nothing more than a friendship). I loved the abandoned feel of the island, setting the action firmly in dinosaur territory and adding to the sense of tension throughout. The much smaller ensemble and return to a more “brains over brawn” approach is also a definite improvement over the explosions and machine guns that were so prominent the second. This film strips away technology and science for a much simpler approach, building the story around the most basic concept of all: survival. G: Glad to see the strongest characters back from the first movie, ditching The Lost World’s disjointed collection of irritating characters for a group firmly bound by the desire to survive. The group’s seemingly unshakeable teamwork – in particular the unspoken understanding and acceptance of the fact that people make mistakes and that sometimes bad things are done with good intentions – creates a real sense of family between all of the humans stuck on the island. This makes for an interesting turn from the more conventional human adversaries of the previous films in the series, and makes this one of the most simple and pure feeling films in the series. A: A strange mix of unnecessarily futuristic technology (including hamster balls for humans and irresponsibly dangerous hybrid “designer” dinosaurs, something frankly ridiculous if we’re to believe this movie is set in a post-Jurassic-Park-catastrophe world) and disappointingly outdated and fictionalised dinosaurs (I won’t go into details as there are many much longer articles than this one dedicated solely to the subject). Jurassic World tries to capture the essence of Jurassic Park, but gets the balance wrong in my opinion, with the inclusion of comedic lines during some potentially quite tense moments and the unsubtle and predictable approach to developing the relationship between Owen (Chris Pratt) and Claire (Bryce Dallas Howard) – completely lacking the subtlety and tact that made that of Alan and Ellie so special – particularly disappointing when compared to the original. To its credit the film is a visual masterpiece and the reliance on animatronics is worth its weight in gold. If only those dinosaurs were accurate. G: Tries way too hard to be funny and lighthearted, with pretty much all of the characters lacking a certain earnestness from which the film would have benefitted. I am also not a fan of the domesticated and frankly dog-like portrayal of dinosaurs: we’ve lost the focus on archaeology and palaeontology in exchange for dinosaurs that are dealt with from a purely financial perspective. 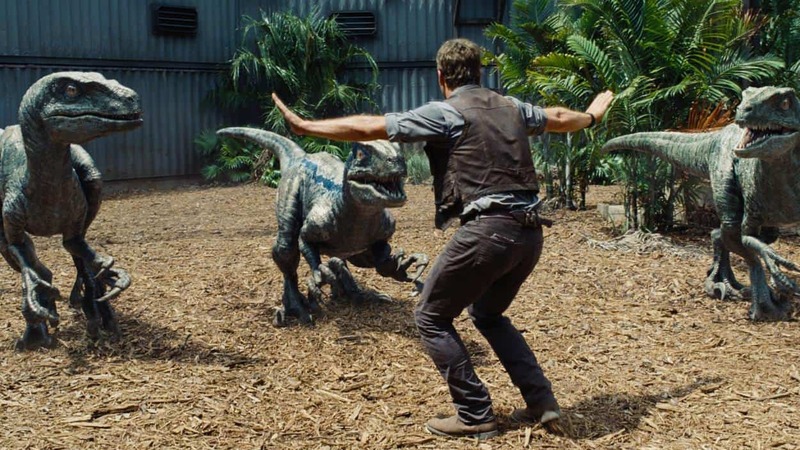 I did like the final twist in which the Velociraptor Blue teams up with T-rex to defeat Indominus rex, and of course loved the long-awaited return to the Jurassic Park universe. A: Tries, successfully, to be more emotional than the previous effort, which I liked. The film poses serious questions about the ethics of our manipulation and exploitation of nature and the morality of the economically motivated forces behind it. Unfortunately it also seems heavier on both special effects (I would have preferred more animatronics and less CGI) and action (which comes flying at you from all angles almost non-stop throughout). There was absolutely no mention of palaeontology or the natural biology of dinosaurs, instead choosing to focus on increasingly ridiculous (in name, appearance, and behaviour) hybrids, which are discussed and treated as though they were contemporary animals. The film is enjoyable enough, but felt less Jurassic Park than any other instalment in the franchise yet. No spoilers here, but the ending seems to open doors for expansion beyond the limits of those infamous islands, and even beyond dinosaurs themselves. I personally would have slightly altered the ending (to one that would firmly close the doors to any further damage to the franchise more films), but given its takings at the box-office I’m sure we’re in for a few more.